Commentaries having to do with political issues. The following is based on considerable reflection on the responsibilities of a Christian to obey God in all that He instructs, and the duty as a citizen to vote for or reject a candidate for public office, based on one or more positions he/she holds. Each Christian will have to make up their own mind according to their conscience. There are many social and political issues that Christians in good conscience can disagree on and not make absolute claims that Holy Scripture supports their position. Yet, there are issues that are clearly addressed in Scripture, that no Christian should ignore when dealing with the choice of who to vote for. There are several that stand out for me that compels me as a Christian to rule out voting for a candidate, regardless if he or she agrees with every other political view I hold. I find no biblical support for a Christian to vote for a candidate for public office who supports the killing of innocent life. So on this issue alone (although there are others), I cannot and will not vote for Barack Obama, or anyone else, because abortion is in fact murder, and thus is in blatant contradiction to Scripture. When a professing Christian candidate promotes abortion, it is even worse. So therefore, how in good conscience can a Christian support the “right” to kill an innocent unborn child, when they go against God’s holy word? It is clear to all who have a good knowledge of current events that Barack Obama supports abortion, and organizations like Planned Parenthood, whose purpose is to promote the killing of unborn children for any reason. The record is public for all to see. But Barack Obama takes it even further. First, he also supports the barbaric type of abortion called “partial-birth” abortion. What is partial birth abortion? This may as well be called infanticide also. This is a horrendous description, but it is what it is. It is real, and these nearly-born babies feel horrific pain when this murderous technique is applied to them. Those who support abortion must be willing to be confronted with the reality of what it really is. It is not tooth extraction. It is a horrible procedure that snuffs out the life of a baby about to be otherwise born. It is murder. Barack Obama is okay with this procedure. He has voted present (no) on partial birth abortion ban legislature, as well as against parental notification bills (Source). Note also that the Democrat abortion platform does NOT exclude partial birth abortion. This is the party of compassion that Barack Obama is a member of. Yes, our president voted against this bill, more than once. And when its equivalent was voted on in the U.S. Senate, the vote was 98-0 in favor of protecting these babies. Yet Barack Obama could not even agree that saving the life of a child that was just born was worthwhile. Instead, he fought against it, and was practically the only state senator in Illinois to vote against this bill. See this compelling testimony from Jill Stanek, a nurse who worked at Christ Hospital in Chicago. Then you can also listen to BHO’s own arguments against a bill that was identical in language to the bill that was passed unanimously in the U.S. Senate. Barack Obama also has said that having a baby can be a punishment. (source). And there is also the disdain he has for fundamental Bible believing Christians, and lack of biblical knowledge, as evidenced in this video. These things testify to the character of the man who is currently the nations’ leader. I will continue with our God-mandated duty to pray for our leaders, and I pray that Barack Obama will repent and turn to Him whom he professes to follow. However, with my constitutional right of free speech, I will encourage everyone I know to vote him out of office, solely on the basis of his lack of respect form human life. I could give you so many more reasons why I would vote against him anyway, including his promotion of gay marriage, also an unbiblical position. There are also economic reasons, foreign policy reasons, constitutional reasons; there are ideological disagreements over freedom, governmental overreach, welfare dependency, ObamaCare, illegal immigration, protection of our borders, national security, defense of Israel, his choice of colleagues such as Jeremiah Wright, Bill Ayers, and other radicals; his obstruction of free market ideas, his attitude of apologizing for America to foreign leaders; his raising the national debt another six trillion dollars; disrespect of the Constitution, his attempt to kill the coal and oil industry. But for his support of abortion, and for not even protecting every baby’s right to live after birth, I believe no Christian can in good conscience vote for Barack Obama and his support for the culture of death. Please consider this as you prepare to vote on Tuesday. I’ll be short and to the point here, because the rest of this post has comments from two friends I want to share. I have also read some great comments from some of my Facebook friends. 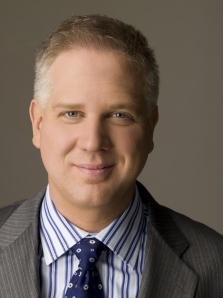 I am a big fan of Glen Beck, politically. He shares practically all the conservative values I believe in. He has a strong voice for conservatism, and for Constitutional authority in our laws. But that’s where it stops for me. Glenn Beck, by biblical definition, is NOT my brother in Christ. This past weekend, if I had time and money, I might have gone to his Restoring Honor rally on Saturday. But I would not have gone to Friday’s event, called America’s Divine Destiny. This is where we have to draw the line, folks. The America’s Divine Destiny was just another example of ecumenical holding of hands which according to the Bible, is wrong. So there it is. I love Glenn Beck, but I mainly love him because he needs to find the real Jesus. Let’s pray for him to do that, because all the other worthy accomplishments he manages to do will be worth nothing, unless he finds the one true God and Savior, the Lord Jesus Christ, who is not the Jesus of Mormonism. The Divine Destiny event was especially religious in nature, and also very ecumenical. Sadly, we had a devout Mormon essentially leading many evangelicals, as well as many of other faiths, in basically a Christian (worship) service. I am the treasurer in a local tea party group. I have firmly believed in the tea party movement’s desire to get our government back to the Constitution and electing officials of character who believe in conservative principles and live by them. Many in the tea party movement are evangelical Christians. However, people in this country are getting so desperate for leaders who can help in restoring America that they are throwing discernment, if they had it to start with, out the window. I believe most all conservative Christians backed Glen Beck when he was only speaking politics and our nation’s history and principles, but it needed to stop there. But now that a cult member has moved to the forefront of spiritual leadership, we are in bigger trouble than ever. God will not honor those who compromise truth, no matter how worthy the goal. Fortunately some evangelicals are speaking up and standing for truth, and we need to stand with them. Only by holding to the Word of God can we avoid being deceived. I fear for our nation and our church, and we are all just doing a small part, which I believe God will honor if we hold to His Word, and keep Christ first, and country second. Being an online apologetics and discernment work Apprising Ministries does not involve itself in politics per se; however, there are times when those issues will cross, as is the case with popular conservative talk show host Glenn Beck with his Divine Destiny event. Lately it’s becoming more apparent that Beck, who is a baptized member in good standing with the non-Christian cult of the Church of Jesus Christ of Latter-day Saints (the Mormons), has been trying to portray himself as a Christian. When you meet people from the LDS faith, they will often say to you: “We’re Christians too, because we believe in the Savior Jesus Christ.” However, the defining area concerning whether one is a Christian or not is what they teach concerning the historic Person Jesus of Nazareth, Whom the Bible teaches is the Christ—God Himself in human flesh. Using the old TV show To Tell The Truth as a backdrop in Will The Real Jesus Please Stand Up? I used the benefit of my 23+ years in the study of Comparative Religion to “personalize” various Jesuses one is likely to encounter. I am the Jesus Christ of the Church of Jesus Christ of Latter-day Saints (the Mormons). My original Church went through a total apostasy and I took the Priesthood from the earth. In 1820 by one account—as there are nine different accounts—I appeared, with Heavenly Father, to Joseph Smith who would be the prophet to restore my Church. I told him that everything the historic Christian Church had taught was an abomination in my sight and that all who believe in those doctrines are corrupt. I am the spirit child who was born first to Heavenly Father, whose name is Elohim, and who has a body of flesh and bones as tangible as man’s. Elohim was once a man who lived on the planet Kolob. He died and was resurrected by his father—after earning his way to godhood—as did his father before him, and so on back. Heavenly Father pro-created all of us through sexual relations with one of his celestial wives, and we are all his spirit children. I was born first; next was Lucifer, and then on down the line comes you. When the head of the gods—of which there are countless numbers—called a council of the gods I came up with a better plan of salvation than my brother Lucifer did. So I became the Savior for Heavenly Father’s children on earth. I was conceived for my earthly mission when Heavenly Father came down and had sexual relations with his daughter the Virgin Mary. So the question we need to ask Glenn Beck is: Which Jesus Christ do you believe in; Jesus Christ of Nazareth—of the historic biblical record—or one of the myriad impostors; to further answer this question, below you can see for yourself what the Mormon Church, to which Glenn Beck belongs, actually teaches about Christ Jesus. Let us first consider this from Gospel Principles, which is an official publication of the Church of Jesus Christ of Latter-day Saints. Every person who was ever born on earth was our spirit brother or sister in heaven. The first spirit born to our heavenly parents was Jesus Christ (see D&C 93:21), so he is literally our elder brother (see Discourses of Brigham Young, p. 26). Because we are the spiritual children of our heavenly parents, we have inherited the potential to develop their divine qualities. If we choose to do so, we can become perfect, just as they are. And now, verily I say unto you, I was in the beginning with the Father, and am the Firstborn; And all those through me are partakers of the glory of the same, and are of the church of the Firstborn. Ye were also in the beginning with the Father; that which is Spirit, even the Spirit of truth;… (93:21-23). The Savior of Mormonism, however, is an entirely different person, as their official publications clearly reveal. The Mormon “Savior” is not the second person of the Christian Trinity,… Mormons reject the Christian doctrine of the Trinity, and he is not even a careful replica of the New Testament Redeemer. The United States of America, that last bastion of freedom spoken of by Ronald Reagan, is under attack from within her walls. In a parallel rail, the Church is also being undermined from within. These two entities have survived attacks from without since their formation. The strength derived from the precepts and concepts upon which they were founded is too powerful and cannot be affected by clear and obvious attacks. But from within their walls they are extremely vulnerable and subject to deceit and decay. The intriguing aspect of it all is that both entities seem to be intertwined by one common denominator in their birth – God! Both were birthed with blood, sweat and tears. In one case those belonged to His own Son and in the other they belonged to adopted sons and daughters. The values set forth for the foundation of the Church comes from Truth itself. You see, Truth is a person and not a concept. “I am the Way, the Truth, and the Life…” words of Jesus Christ (emphasis mine). Once the people cease to be moral and religious the foundation becomes “wholly inadequate”. Does anyone doubt that we are close to this point if not there already? The United States cannot be destroyed from without because it is too powerful. It would be utter suicide by any country to try to attack us. I worked for 16 years building Trident nuclear submarines and therefore I am fully aware of the destructive force stored just in these submarines that are constantly roaming around the world undetected. Not counting the rest of our nuclear and conventional arsenal, these submarines alone could obliterate the aggressor country with extreme power and swiftness. But we can be weakened from within by our own citizens. If enough people can be convinced that the intentions of the leaders are good and for the welfare of the majority they would be willing to trample on their own Constitution to achieve “Social Justice”. Capitalizing on the lack of morality and religiosity spoken of by John Adams, deceitful people take hold of power and weaken the country to the point of destruction. Promises of equity and similar outcomes are music to the ears of those that would rather not put in the effort to create their own successful story. Accepting crumbs from the master’s tables will maintain one alive but a slave nonetheless. Therefore one of the steps to get the people of this country to a point where they are neither moral nor religious would obviously be to attack the other rail, the Church. I have stated before that the Church cannot be destroyed, but it can be weakened. It can be weakened from within. Wolves in sheep’s clothing casting doubts in God’s Word “hath God said?” The same deceitful hissing that started it all! It’s sad to see that within church walls the people accept and approve of political leaders that support abortion, homosexual marriage, Marxist ideas, redistribution of wealth, etc…all the while failing to see that they are being led down the path spoken of by John Adams – a people that is neither moral nor religious. Although these two rails are intertwined, because the weakening of the church leads to the weakening of the people and thus the destruction of the country, we are called to sound the alarm and stand tall against the heresies of the time and maybe we can still avert a calamity that seems to be eminent. Looking from within the train tracks, the two rails seem to meet at the horizon. But that’s just an optical illusion – they don’t. The True Church will stand, because it’s held by the strong hands of Jesus, the question is…will America stand? My friend Fonso (I call him my apologetics mentor) sent me this commentary and I got his permission to post it. He addresses a topic that is always close to my heart and that I believe should be at the top of a Christian’s priority list in the world of politics and elections. Logic plays an important part in our lives and it is most often defined as “the laws of thought,” “the rules of right reasoning”, “the principles of valid argumentation,” or as Aristotle put it “Logic is the study of correct reasoning.”With that in mind, I would like to dwell on the behavior of many of my friends, family, and acquaintances that need the use of correct reasoning. A few weeks ago there was a story in the news about a mother and her daughter walking in their neighborhood when they heard sounds of what seemed to be of a baby coming from the trash can. They immediately investigated only to find that the sounds were coming from two little puppies not more than a few hours old, placed in a plastic bag and thrown in the trash. I immediately thought of the cruelty of the person capable of such a deed. The puppies could’ve very well been given to the proper authorities, with very little effort and that would certainly resolve the problem. At this time, my mind wandered to situations where newborn babies are abandoned after a botched abortion and left to die without any care given. Using the logic Aristotle was talking about; I had to conclude that if the person that left the puppies to die in a trash can was a horrible person than it follows that a person that leaves a baby to die is an even more horrible person, because I am one who believes that a human life is infinitesimally more valuable than any animal. “What do you think of the person who left the puppies in the trash can? The answers were inevitably that the person was evil and should be punished. At this point in the conversation I introduced the baby born alive after a botched abortion. “What do you think of the person who is in favor of letting the baby die? Feeling trapped by logic, the answers had to demonstrate at least an equal outrage lest they be called unreasonable or hypocritical. Hence the call for punishment to such a horrible person. Isn’t it funny that all of the ones that the questions were directed to voted for Barack Obama, a man who voted four times to let the baby die without care in case of a botched abortion while in the Chicago Senate. The Born Alive Infant Protection Act was brought to the Senate floor in Chicago four different times and the only senator that argued against its implementation was then Senator Obama utilizing the following reasoning: if we give recognition to a premature baby it will only, further down the road, affect the right to abortion. And I ask. My friends, where is the logic? How can you call one a horrible person and not the other? Recently a brother of mine and a friend were engaged in a friendly chat about the virtues of President Obama when another friend of mine approached them and asked them to explain what do they hear when they go to church. They were both avid church goers and wondered about the meaning of such a question. To which my friend replied in such a manner: in my world, Christianity is incompatible with abortion. It’s illogical to be a Christian that believes that life comes from God and humans are created in His image and then be enthralled by someone who supports abortion on demand in its most horrible form, a last trimester partial birth abortion or even worse, if that’s possible, allowing a baby born alive to die unattended. And I ask. My friends, where is the logic? How can you be for one and at the same time be for another who is totally opposed? I have siblings that adore the moral values of my late father. He was adamantly opposed to abortion and homosexuality was unthinkable in his views. And I’m certain that most of those reading this will also agree with me that this is the case in relation to their fathers. But, in my siblings’ case, while adoring the values of my father they eagerly support politicians in the Democrat Party that have as their platform abortion on demand and homosexual marriage. And I ask. My friends, where is the logic? How can you love the values of your father and then choose to follow someone who believes the opposite? We have a nation that in 200 years became the most powerful nation in the world. It climbed to the top using the principles of free market and capitalism. It created the largest middle class in the world. It has the least number of poor people in the world. People from all over the world risk their lives to come here and live the American Dream. It floods the world with its technology, medical discoveries, and all around good will and charity. It has liberated millions and stood for freedom throughout the globe. Yet, there are those that want to make it like another European nation which despite their thousands of years of existence does not even come close to this nation. And I ask. My friends, where is the logic? How can you see something valuable in front of you and yet desire to trade it for something infinitely inferior? Finally, there’s a real seriousness in calling ourselves Christians. When we do that we claim to identify with the Christ and His teachings. And who is this Christ? Jesus of Nazareth. The danger in calling ourselves Christians and yet pal around with the world is found in Matthew 7: 22 and 23. “On that day many will say to me, ‘Lord, Lord, did we not prophesy in your name, and cast out demons in your name, and do many mighty works in your name?’ And then will I declare to them, ‘I never knew you; depart from me, you workers of lawlessness.’ Notice that the people that are saying Lord, Lord have done many religious things in His name, therefore this applies to many that observe religious rituals and frequent churches, but yet never made a serious commitment to be a true follower of Christ. The reply from Christ contains the most dreadful words befalling upon a person who thinks that by merely being religious or believing they are “good” is enough to save them. If being “good” could ever save a person please tell me (I’m going to once again use logic) why did Jesus ever come to this Earth and subject Himself to such horrible treatment and Death? If you believe that by voting for the people that promise to give you everything and solve all your economic problems but yet disregard the righteousness of God is the right thing to do, you are only falling into another trap. You are switching the object of your faith – from God to the Government. When you do that, you have replaced Him with an idol, thus breaking the first commandment. He is the One who said that he’ll take care of us, clothe us and feed us. Therefore when it concerns the economy He asks us to trust in Him, but when it concerns righteousness He wants us to stand in the gap and fight against the tide of evil that inundates the earth. Where do you stand? As for me and my house, we will trust in the Lord! Just using some logic. Anyway, Our Sunday School class this past week started getting into 1 John, and some of the discussion included talk about the “gnostics” that John warned about whose understanding of the real Christ was warped and unscriptural. Since the New Age movement is very much alive and well, and a major threat to the health of the Christian church, I thought I would share this with you from my friends at Lighthouse Trails Research, which does outstanding research on New Age, emergent church, and contemplative spirituality/mystical practices. On February 3, 2009, the Department of Peace bill HR 808 was updated and introduced to Congress by Representative Dennis Kucinich. For those who are not familiar with the efforts by prolific New Age leaders to bring to reality a US Department of Peace, these efforts began several years ago at a grassroots level. Support for the new department grew and presently 66 members of Congress are supporting the effort. Just one week after the new president took office, the updated Department of Peace bill was introduced. [O]ne of the obvious goals of the “new gospel” and of the Alliance organization is to completely “reinvent” (if it were possible) the traditional Gospel of Jesus Christ. While members teach that all paths lead to God, they know that there is no place in their new spiritual world order for those who insist that Jesus Christ is their Lord and Savior. The Alliance presents itself as a “grassroots” organization of everyday folks, but it is important to remember that the Alliance is spearheaded by a high level group of “new gospel” advocates who appear to be operating from a general blueprint channeled from the spirit world years ago by esotericist and occultist, Alice Bailey, who is the author of many channeled works. Her blueprint is continually being affirmed and updated by the recent “new revelations” received by Schucman [A Course in Miracles], Hubbard, Walsch, [Benjamin] Creme and others. Warren explains in his book how the Global Renaissance Alliance eventually changed its name to The Peace Alliance, which it is still called today and is the lobbying group and initiator for the Department of Peace. While Barbara Marx Hubbard and some of the other high profile New Agers slowly faded from the forefront of The Peace Alliance, Marianne Williamson has remained a crucial influence. Up until recently, her name and photo were seen throughout the Peace Alliance website. And while her photo and name do not appear on the home page of the site presently, a simple search on the website shows she is still involved in the movement. Barbara Marx Hubbard and some of the other New Agers have remained involved to various degrees as well. In 2005 Marx Hubbard received a Peacebuilders award from the Peace Alliance. 1 But clearly, having the names of well-known New Agers in prominence would deter the efforts to convince Congress that this is a legitimate trustworthy organization that has an agenda of peace and not of a global change in consciousness for humanity as Marx Hubbard, Williamson, Dyer, Chopra, and others teach. This is where personalities like former anchor Walter Cronkite and Hollywood star Joaquin Phoenix, both DOP activists, have helped The Peace Alliance’s agenda. Ultimately, though, this is a plan to silence the messengers of the true Gospel. As Bible-believing Christians, let us continue defending the faith in the midst of a dark and lost world that has rejected God’s Savior, Jesus Christ, as the only answer to man’s lostness. While bills and laws will pass, continually changing the structure and functioning of our society, nothing can change the truth found in His Word. Lighthouse Trails has set up a research page for those who wish to track the “progress” of the Department of Peace. I was outraged at several issues regarding abortion as it relates to the new administration and congressional leadership, so I’d like to share those thoughts with you. ( I am assuming that your usual endorsement of contraceptive planning includes abortion on demand). By the way, is not 3,000 abortions per day enough for you? That’s 2 abortions per minute round the clock all year. President Obama began his campaign to make abortion even easier and more accessible, by overturning a ban on state funding for family-planning groups that carry out or facilitate abortions overseas. Obama signed the executive order canceling the eight-year-old restrictions on Friday, Jan. 23, the third full day of his presidency. The so-called “global gag rule” cut off US funding to overseas family planning clinics which provide any abortion services whatsoever, from the operation itself to counseling, referrals or post-abortion services. The order won Obama praise from Democratic lawmakers, family planning and women’s rights groups but drew angry condemnation from pro-life organizations and Republicans. Personal comment: I wonder how many Christians gave any consideration to the moral and ethical issues regarding Mr. Obama’s positions on abortion, which on record is abysmal. I fear this is just the beginning of more serious policy changes that will endanger the lives of even more innocent unborn babies. He has already promised abortion rights activists that he will sign the Freedom of Choice Act as soon as he got into office. When he was an Illinois senator, he voted against legislation to protect babies already born from a botched abortion! He has also supported the horrific and brutal practice of partial-birth abortion. Although President Obama claims to be a Christian, he is also on record as saying that there are other ways to God, and therefore not through Jesus Christ alone. Nowhere in the Bible is there any reference to Obama’s many paths. He clearly rejects a foundational and essential tenet of the Christian faith. “I think it’s the same thing as the question about heaven,” Obama responded. “In the same way that if I’m true to myself and my faith that that is its own reward, when I’m not true to it, it’s its own punishment.” Again, this is a total disregard for the teachings of the Bible. This is not a matter of choosing either politics or religion, and Christians ought to be involved in these areas as well. Moral considerations need not be thrown out the window or ignored when addressing policy decisions by our leaders, especially involving decisions that affect the life of an unborn child. My friends, I pray that Barack Obama will be convicted by the Holy Spirit and come to repentance, and acknowledge that Jesus is Lord, and the only true way to the Father. Please pray for him and other leaders in our government who favor a culture of death by their very approval of every type of legislation which falls on the side of abortion rights. *Dr. Gary Cass, Chairman and CEO of the Christian Anti-Defamation Commission.